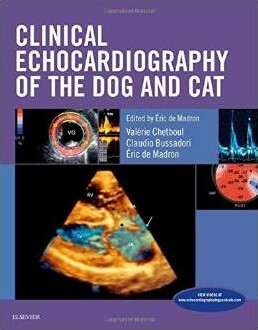 ・Dedicated coverage of canine and feline echocardiography emphasizes a more in-depth discussion of cardiac ultrasound, including the newest ones such as Tissue Doppler and speckle tracking imaging, and transesophageal and 3D echocardiography. ・A practical, clinical approach shows how these echocardiographic modalities are not just research tools, but useful in diagnosing and staging heart disease in day-to-day practice. ・Book plus website consolidates offers current information into a single cohesive source covering classical modalities and newer techniques, as well as updates relating to normal echocardiographic examinations and values. ・50 videos on the companion website demonstrate how to perform echocardiography procedures, illustrating points such as swirling volutes, color flow display of blood flows, dynamic collapses secondary to pericardial effusion, and tumors flicking in and out of the echocardiographic field. ・A section on presurgical assessment helps you assess risk and prepare for catheter-based correction of cardiac defects - accurate measurements and proper device selection are key to a successful procedure. ・Over 400 full-color illustrations and 42 summary tables help you achieve precise, high-quality imaging for accurate assessment, including photographs of cadaver animal specimens to clarify the relationship between actual tissues in health and disease and their images.